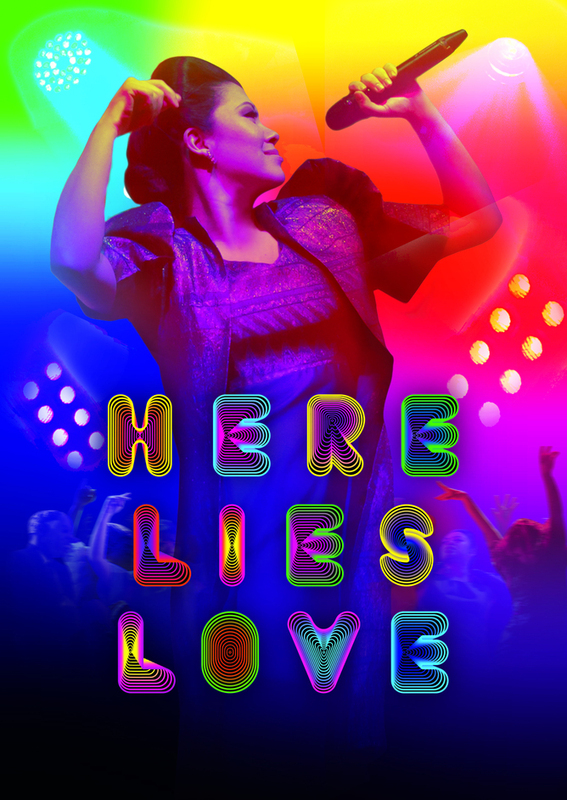 Here Lies Love is the first show to be staged at the newly opened Dorfman Theatre (formerly the Cottesloe) at the National Theatre. It comes straight from Broadway where it is currently still playing to rave reviews. Telling the rise and fall of Imelda Marcos, First Lady of the Philippines, Here Lies Love is not your regular musical. The Dorfman Theatre has been transformed into a club for what is advertised as an immersive theatrical event. 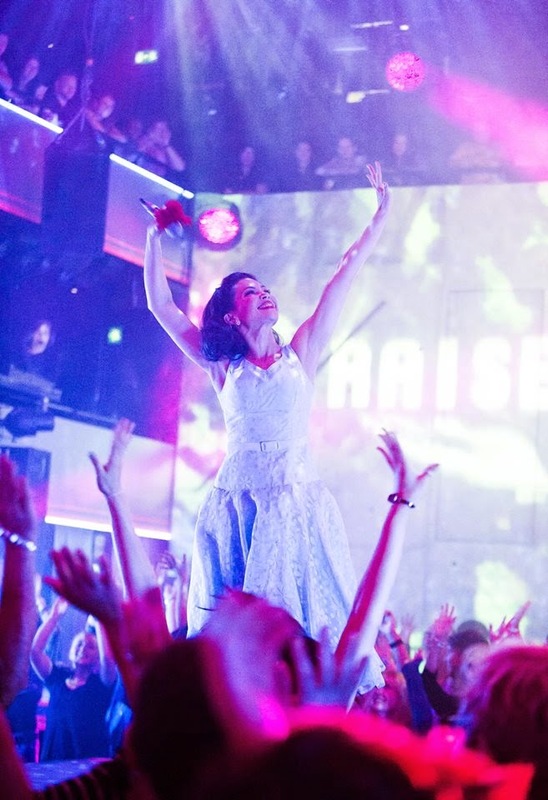 Part of the audience watches standing in the pit (the dancefloor so to speak) while the show takes place on moving platforms in a 360-degree staging. 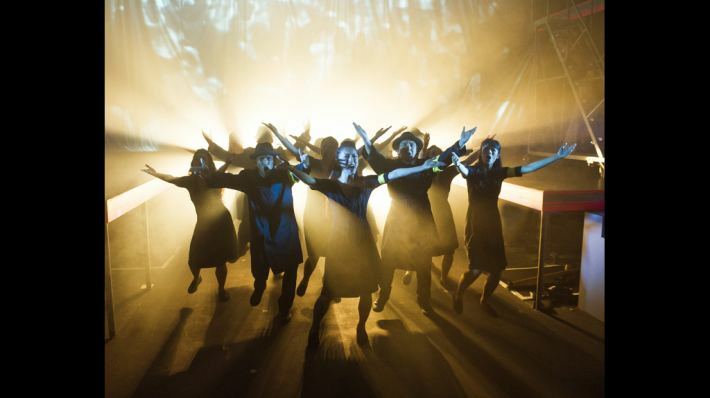 Having gained some experience in proper immersive theatre over the past months I first would like to say that Here Lies Love has some immersive / interactive elements but to class it as immersive theatre as such might be going a step too far. To me it felt more like watching a musical in a club and getting the occasional handshake from the performers. Apart from a few interactive dance bits the audience in the pit doesn’t have to do more than shuffle along when the platforms are being moved around. So even if you are really not up for any kind of interactive theatre – don’t worry, you will be fine. No one is going to put you in the spotlight. The show itself is what can only be describes as a huge, colourful party. The story is interesting and well told – I can imagine not everyone knows about Imelda Marcos and while you won’t be an expert on her after seeing the show it does give you a nice overview of Imelda’s life (and before you start looking it up on Google: Yes, she is still alive). 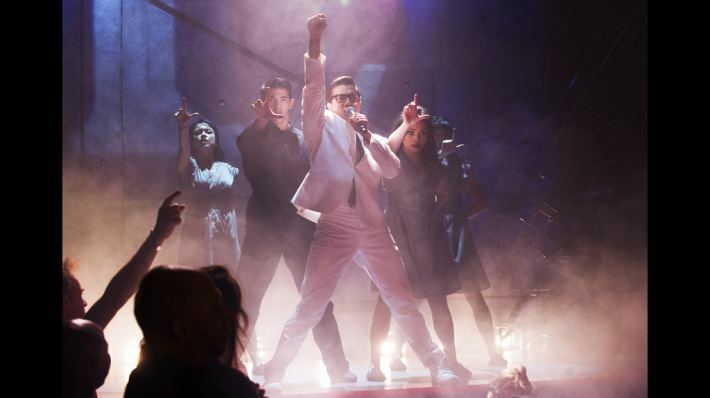 What makes Here Lies Love one of the must see shows of the season is the concept, the music and the amazingly talented cast. I left the theatre on a complete high with the title song stuck in my head. Natalie Mendoza is a revelation as Imelda. The same goes for Gia Macuja Atchison as Imelda’s childhood friend Estrella Cumpas, Mark Bautista does a great Job as Ferdinand Marcos and Dean John-Wilson truly shines as Ninoy Aquino (he made me tear up while I was standing in a pulsating, loud club-like venue – that says something). 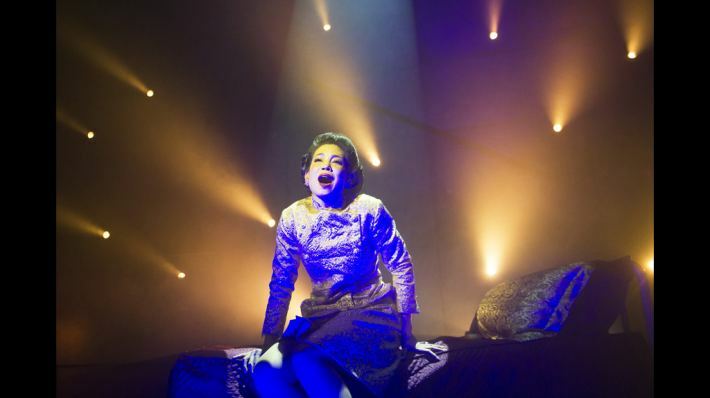 There really is no weak link in the cast and even though this is Imelda Marcos’ story, Here Lies Love wouldn’t work without a brilliant ensemble. You don’t have to be a party person to enjoy the show but be aware that the music is loud. The songs are unbelievable catchy though and it’s hard not to dance along (at least a bit) when you’re standing in the pit. Be prepared to stand for 90 minutes though as there is no interval. It was quite hot inside the auditorium too and I can see that this might be a problem for some people. However, you really do get the most out of the show when you go for the full experience. Put comfortable shoes on, wear a t-shirt and just jump right into the exciting world of Here Lies Love (you will have to leave jackets and bags in the free cloakroom anyway so just wear layers to avoid freezing on the way to the theatre). I cannot recommend this show enough. Personally I think it’s one of the most unique theatrical experiences you can see in London at the moment. Just leave the thought behind that watching a show means sitting in your seat staring at the stage in front of you. Be up for something new and let yourself be swept away by Here Lies Love.